Peacemaking is how we seek to resolve our differences and restore our relationships with God and one another. To put it in terms of the RW paradigm, peacemaking is what God calls us to do when we (or other people) have slipped outside the circle of relational wisdom and need to resolve difference and restore healthy relationships with God and one each other. 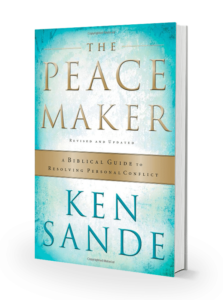 The Peacemaker: A Biblical Guide to Resolving Personal Conflict (© 2004 by Ken Sande), which has sold over 500,000 copies in seventeen languages, describes many of the key peacemaking principles God has given to us through Scripture. 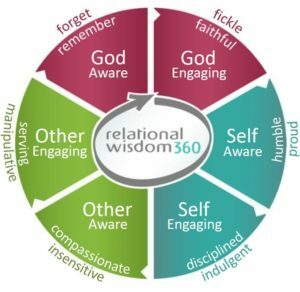 These principles, which are summarized below, are special applications of the six primary elements of relational wisdom. As you study them, you will notice the following correlations. • The Four Promises of Forgiveness and the PAUSE Principle of Negotiation are essential elements of being other-aware and other-engaging. Both peacemaking and relational wisdom promote a fundamental transformation of character and lifestyle as people learn to live and breathe the gospel during every human interaction. While each system has both proactive and reactive components, they differ in their primary focus. Peacemaking focuses mainly on resolving conflict and reconciling broken relationships. 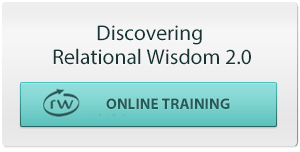 Relational wisdom focuses mainly on preventing conflict by building healthy, empathetic relationships. For example, if you wake up in the morning and do not realize that you are in an irritable mood, or that your spouse is depressed, or that a co-worker feels slighted, there’s a good chance offenses are going to occur and you’ll need to do peacemaking before the day is over. For example, if you read your own moods well and avoid grumbling, or notice your spouse’s sad look and give a word of encouragement, or make a co-worker feel comfortable sharing a concern, you can often avoid many hours of conflict resolution later in the day. The following pages provide a brief summary of the biblical wisdom we can apply to restore broken relationships. The Four G’s – The biblical system for resolving conflict is captured by “The Four G’s”: Glorify God, Get the log out of your own eye, Gently Restore, and Go and be reconciled. The Slippery Slope – A visual tool for understanding the ways people tend to and ought to respond to conflict. Getting to the Heart of Conflict – A key step in resolving conflict is to understand the desires and agendas that are fueling our differences with others. The Seven A’s of Confession – A guide to making a sincere and complete confession. The PAUSE Principle – A biblical approach to negotiation. The Peacemaker’s Pledge – A concise summary of biblical peacemaking, which churches and organizations may use as a corporate commitment to gospel-based peacemaking. – Free download of the first chapter in The Peacemaker, plus information on how to acquire translations of the book. The Young Peacemaker – An introduction to how you can teach biblical peacemaking to children. 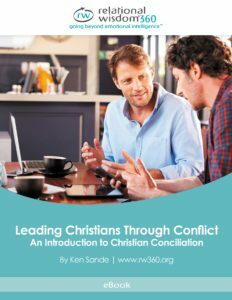 Leading Christians Through Conflict – is a 70-page booklet that provides detailed guidance on how you can serve as a conflict coach or mediator to help other people resolve conflict. Christian Conciliation – Information on how to request coaching or mediation assistance for conflicts you are unable to resolve personally. Conciliation Providers – Organizations and individuals that provide Christian conciliation services. Peacemaking is difficult to learn in the heat of a conflict, when emotions have flared and rational thinking has diminished. Therefore I strongly encourage everyone to develop solid peacemaking skills before differences arise. You can do this by reading The Peacemaker and by using our online training to improve your overall relational skills. For more information on biblical peacemaking, I invite you to click through the buttons below! One Response to "Biblical Peacemaking"